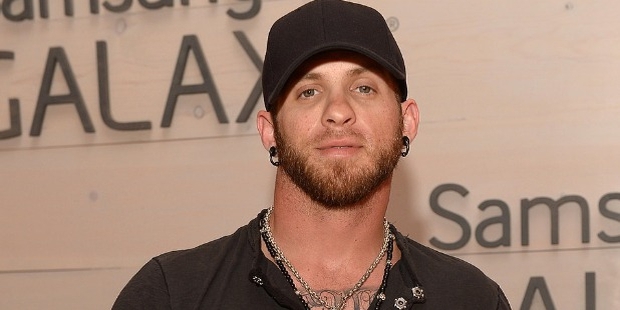 Brantley Gilbert never foresaw himself as a singer or songwriter, but a car accident he met at the age of 19 inspired him to make music. He is a renowned rock artist from America, best known for his creations like ‘You Don't Know Her Like I Do’, ‘Dirt Road Anthem’ and ‘Just as I Am’. Gilbert started his musical career by songwriting for Colt Ford and Jason Aldean, but later moved to become a rock artist himself. He entered the industry with a bad-boy image, but as he entered the Valory Music Co., he decided to tone down his writings. Gilbert used to listen to a number of bands during his childhood and teenage, including R.E.M., Bruce Springsteen, and John Mellencamp. He was largely influenced by Lynyrd Skynyrd, and started songwriting and singing at 13. In 2004, at 19 years, he met a fatal car accident, after which he devoted himself to music and songwriting. His ‘Halfway to Heaven’ is an inspiration of the incident in a way. After moving to Nashville, Gilbert signed to Warner Chappell Publishing, and started songwriting. In 2009, he came up with his first album Modern Day Prodigal Son, followed by Halfway to Heaven in 2010. Next year in 2011, he signed up with Valory Music Co., and re-released Halfway to Heaven with bonus tracks and new recordings. 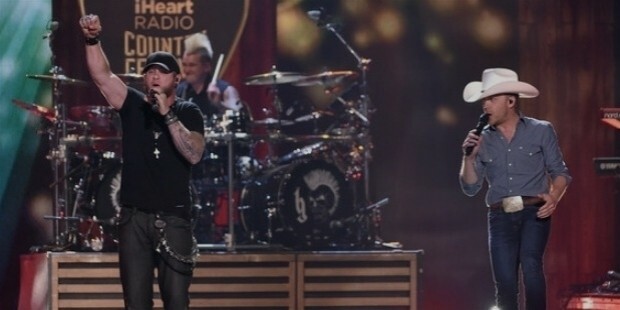 After meeting huge success with the album Halfway to Heaven and receiving an ACM New Male Artist award in the year 2013, Gilbert released Just as I Am, his second album in 2014, featuring guest voices of Justin Moore and Thomas Rhett. Some of its best known singles include "Bottoms Up", "Small Town Throwdown", "One Hell of an Amen", and "Stone Cold Sober". 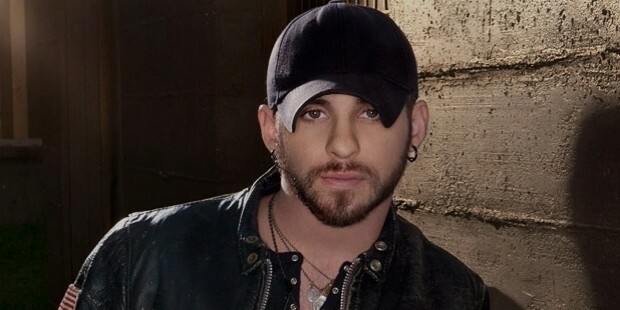 Brantley Gilbert’s contributions to the music industry have brought him a number of renowned awards, including ACAs Breakthrough Artist Single of the Year in 2012, CRS New Faces Award in 2013, CMA CMA Triple Play Award in 2013, ACM Top New Male Artist award in 2013, and iHeartRadio Music Renegade Award in 2015. He has also been nominated for a number of ACM, CMA and Billboard music awards. Initially, he made reputation of a bad boy in the industry, but gradually, he started toning down, and improved his image among his many fans. 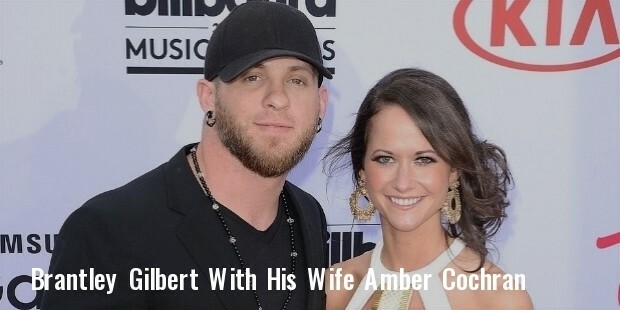 In 2012, Gilbert met Jana Kramer at CMT Music Awards function, got engaged to her in 2013, and then split with her later in the same year. In 2015, he married Amber Cochran, a school teacher, in a private ceremony at home. With his musical masterpieces, Gilbert has amassed fans all across the globe. He is not only a singer, but a songwriter, guitar player and vocalist too. Recently, he got a huge tattoo covering his entire back in support of the Second Amendment to the United States Constitution.